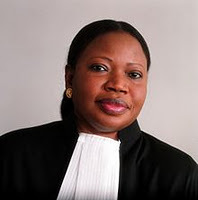 So writes international prosecutor Serge Brammertz in a Guardian op-ed published in anticipation of a new beginning: at 11 a.m. Hague time (5 a.m. New York time) tomorrow, Friday, June 15, Fatou Bensouda will be sworn in as the Prosecutor of the International Criminal Court. (Live webcast available here). ► Support by states of the court’s orders, among them the long-standing warrants to arrest incumbent Sudanese President Omar al-Bashir as well as Joseph Kony, leader of the Uganda militia known as the Lord’s Resistance Army. ► Universal ratification of the Rome Statute of the ICC as a means to avoid unequal application of its terms. ► Pending universal ratification, extension of ICC jurisdiction through fairly applied U.N. Security Council referrals. ► Building of capacity in national criminal justice systems. ► Development of standard procedures for ad hoc fact-finding commissions.